Well, we make use of the different types of cards throughout the day. But hardly have we cared about the different factors that these credit, debit or RuPay cards comprise of. For any kind of transactions, these cards are really essential. In this article we are going to offer you the complete details about the different cards, which have become the most popular medium for the payments. Did you know that these cards were called the plastic cards? These cards have become an inevitable part of our lives and it allows us easier transactions even when we do not have the required amount of cash. These cards are also known as the plastic money, since the cards are made up of plastic. The credit cards, debit cards or the ATM cards that are used in place of cash or cheque are actually made up of plastic. This article is all about the plastic cards, the different kinds of cards that are used in daily life, plastic card details, EMV cards, and also how to analyze the card number. How are the plastic cards issued? The plastic cards are actually issued by the banks for a lot of organizations. These are called the card issuers like the banks, retailers, Big bazaar, Shoppers stop and much more. Now, there are different card schemes like MasterCard, American Express, Visa Diner’s Club, Maestro and much more. These operators actually work behind the scenes to make sure that the card is actually working. The types of card that has been issued and the level of functionality differ from the card issuer and the card schemes within which the cards are issued. What are the plastic debit and credit cards? The cards which are made up of plastic are known as the plastic cards. All the different forms of cards, starting from the identification card, credit, debit cards, MasterCard, RuPay and similar cards are made up of plastic. For buying goods and services, there are actually two forms of cards; they are either the debit card or the credit card. The debit card is linked with the card of the account holder. This means he /she is the one who owns the cards. They are mostly issued by the financial institutions and banks. While any individual uses the debit card, the amount is immediately reduced from the account that is linked with the card. You will have the option of buying things that till there is money within your account. The debit is a way to pay immediately and the money is limited to the total sum of money within your account. The credit card is small plastic cards that are also issued by the different financial institutions. As we know that by the name credit, it means, you will have the option of getting something in loan. But you have to pay the amount back later. Well, as it goes by the saying “there are no free lunches in life”. But this does not mean you can get unlimited credit. There is a limited amount on which one can by through the credit cards. And this is why, even if you are having Rs 10,000 in your bank account and your credit limit is Rs 50,000, you can buy stuff till the amount of Rs 50000. You have to repay the amount that is bought on credit, within a certain due date. Well, to be really specific, both the credit and debit cards are similar in their appearances. Only in the debit card the “Debit Card” is printed in small letters while in the credit cards, the “Credit card” is written in caps. As we have mentioned earlier, the credit card is for buying the different articles in loan. In the credit card transaction the person who is offering the money is known as the creditor or the lender while who gets the money or goods are known as the debtor or borrower. At present the market comprises of different forms of plastic money. Like the credit cards, debit cards, charge cards, diner cards, club cards, and the affinity cards. And undoubtedly a huge number of Indians are using them as a more of payment. So let’s have a look at the different forms of cards. 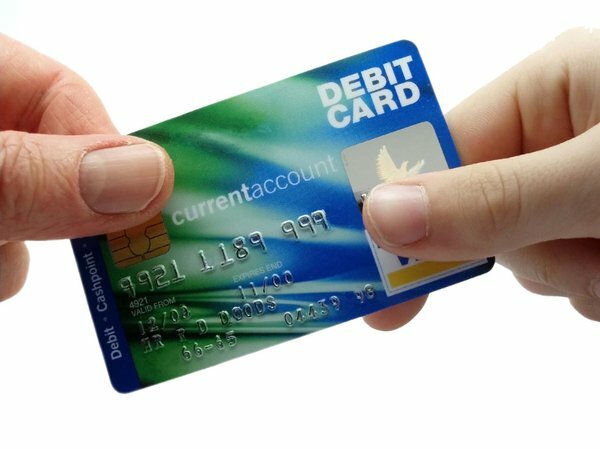 The Charge Card: This carries all the features of credit cards, but after you have used the charge card you have to pay out the entire amount within the due date. And if you couldn’t do so, then you are going to become a defaulter and you will have to pay up the late payment charge. In case of the credit you will have the option of paying the late payment charges if the due date is exceeded. The American charge cards are also known as the Amex Cards. Photo Card: When the card holder’s photo is printed on the cad, it is known as the photo card. This is helpful for the user because with this card you can easily identify the cardholder. Global Cards: These cards allow the ease and flexibility while using the credit cards. Thus the travelers, who have to travel to a long distance, won’t have to carry a huge amount to cash for their journey. The co-branded cards: These are called the credit cards that are issued by such companies who have a tie-up with the popular brands for offering different benefits for the customers. For instance, if you have the Citi-Times card, you will have all the benefits that are offered by the Citi Bank credit card with certain discounts on Times Music Cassettes and free entry to the times Music Events. Affinity cards: This card allows any organization or an individual to offer the members and supporters who have the “affinity” towards that organization. This credit card promotes the brand image every time the card holder makes its use. The add-on cards: this card allows you in adding the credit if you are within the overall credit limit. For this card, the best part is, it is easily available to apply in the name of any of your family member. Be it father, mother, sister, wife or any children who are above 18 years of age. You can make any purchase payments through this add-on cards. The billing statement is going to be reflected within the details of purchase you have made. Per credit, the issuing bank normally allows two add-on cards. A Magnetic strip: the strip present at the back of the credit card is magneticand sometimes it is also called the magstripe. Within the magnetic strip, there is the information that reveals the card holder’s name, date of expiry, and also the card number. The magnetic strip is swapped within the grooves where the cards need to be inserted and the information shall be sent to the bank. The signature strip: Now this is what the card holder needs to do. If you are the card holder, you have to sign the signature strip. This is for the verification that the signature within the strip matches the signature within the receipt. The card security code aka the credit card validation: this is another authentication procedure and for this procedure to complete you need to enter the EMV. The EMV stands for the Europay, MasterCard and the Visa. This is the international procedure for validating and verifying the cards that comprises of technology and computer chips for authenticating the chip card transactions. EMV: There is a small metallic square that you are going to see within the cards. These are the chips for computers. And this is what makes the new generation cards different from the previous ones. But it is still dependent on the physical cards. Starting from the Industry solutions to the EMV technology, you have a lot to adjust to it. There are different names for these cards, though none of them has been finalized yet. Similar to the magnetic strip cards, there are two step processes for the EMV strip cards. The first step is known as the card reading and the second step is called transaction verification. But the benefit of the EMV cards is you won’t have to swipe cards in the right direction for making the transaction. Instead of the swiping, you need to do the card dipping. And this means, you need to insert the card within the terminal process and wait for it. The only thing that you have to do is just enter the pin. With the magnetic strips in your cards, one of the major issues is, it stores all the information and that can be used for any money laundering or fraudulent activities. This is how a huge amount of cash is stolen from different cards every year. Here in lies the benefit of the EMV. Every time you make use of the EMV for payment, there is a unique transaction code that cannot be used again. So even if the hacker attained your sensitive details of your card it cannot be used again. Because the stolen transaction number that was attained at a certain instant will not be valid and the card shall get denied. Though the EMV transaction system does not offer any form of prevention from data breaches but it makes it really difficult for the criminals to steal from you. The credit card comprises of a huge number of information. The number is usually 13 to 19 depending on the issuer. The first digit of the credit card is known as the system number. This represents the type of organisation where which has issued the card. The digits of 7 to last but one are specifically called the account number. And the last digit is known as the check digit. The check digit determines the keys of a card successfully. The card shall prove to be valid, if the check digit of the card matches with the calculated check digit. How does the credit card actually work? So let us have a look at the work function of the credit cards. For instance, let us assume that an individual wants to buy a TV with ICICI credit card that has a MasterCard logo. The shopkeeper at the TV showroom swipes the card on the machine that is provided by SBI. Now how is it going to perform and what are the parties involved in it? The first party is the cardholder, who is the individual to whom the card has been issued. He is the person responsible for all the payments made through the card. The second one is Card Issuer. This is an organisation for the cardholder who has offered the cardholder with the authority to transfer payments through this card. This organisation is also responsible for billing the card holder. The credit card association, the organisation that has terms with the banks for setting the rules and regulations for transaction for the merchants, card issuing banks and acquiring banks. The merchant is the one who accepts payments for the services and products offered. The merchant is also known as Card Accepter. The acquirer is the organisation which collects credit requests from the card accepters and makes sure that the transaction has been made successfully. The merchant swipes on the machine of the acquirer and submits the signed slips to collect payment from the acquirer. Who are the credit cards assigned to? The credit cards are assigned to those individuals who are organised with their finances. If not, then the individual will be at immense risk of making a huge credit and ultimately he/she might end up in a lot of debt. Even if you have a direct debit for paying the full monthly, if you don’t have a good bank balance you might get overdrawn when the payment comes out. Who are the debit cards assigned to? The debit card is a direct link to the bank account and it is assigned to almost everyone. Any individual, who has a UK standard current account, can be assigned with a debit card. But if you are planning to use it overseas then you need to be accustomed with the changes first. 3. Store cards Who are they assigned to? These are assigned to be used in one of the chain of shops. If any individual spends a lot in a particular store, it is a good one for them. 4. Prepaid cards Who are they assigned to? Mostly used by travelers, kids, teens and people with good credit ratings. It is safer than cash and can be cancelled in case it gets stolen. 5. Charge cards Who are they assigned to? Useful for people who have considerable high incomes or people with businesses. Most of the times these charge cards offer cash back features and air mile rewards. 6. Credit builder cards Used for rebuilding the credit, but all the outstanding pays needs to be completed in full and on time. Or else the credit rating shall become worse. It can be a credit or a prepaid card. Loan up to Rs.70,000 for homeless, mud houses dwellers Top Up Loans or Personal Loans – Which One is Better?